I can only take this 32C heat because of all the fun things ahead. Summer: The best season to let loose, enjoy, and spend more time with the barkada! Some of my game plans include a Korea trip, another Boracay trip hopefully, and more mini adventures with my friends in between. I hope I can also accomplish bucket list-worthy experiences like sky-dive, bungee-jump, or even just to learn how to ride a bike! Haha! How to jumpstart the summer? Gather your barkada! Meet up and try Greenwich’s best-tasting Hawaiian Overload Pizza: topped with the perfect blend of meaty slices of ham, sweet and juicy pineapple and finished with slices of green bell pepper. Oh that's a taste of the BEST summer days to come! 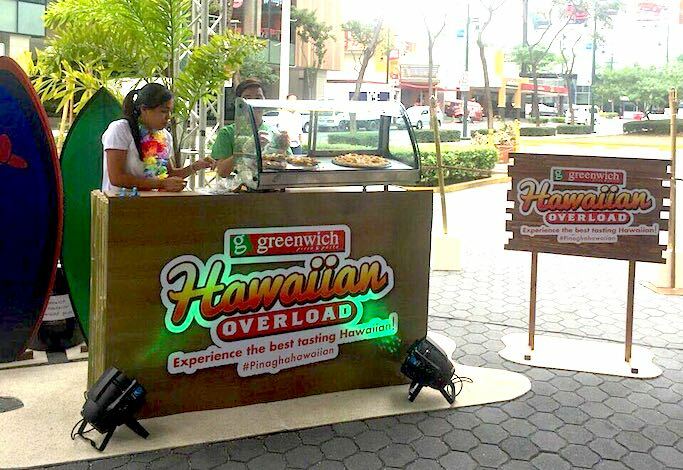 Start the season on a high note and head over to the Greenwich Hawaiian Overload Combi Van at the SM Megamall on March 19, and bring the barkada over for a chance to win prizes! PS: Greenwich Blogger Barkadas will be there to join you! 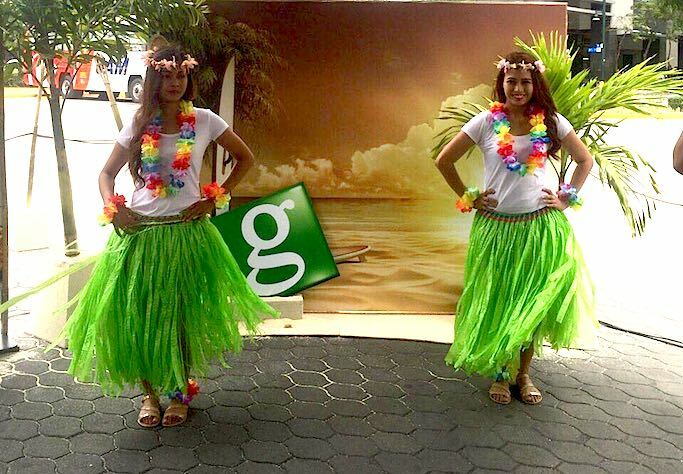 1) Register to claim your FREE freshly made Greenwich #HawaiianOverload Pizza. 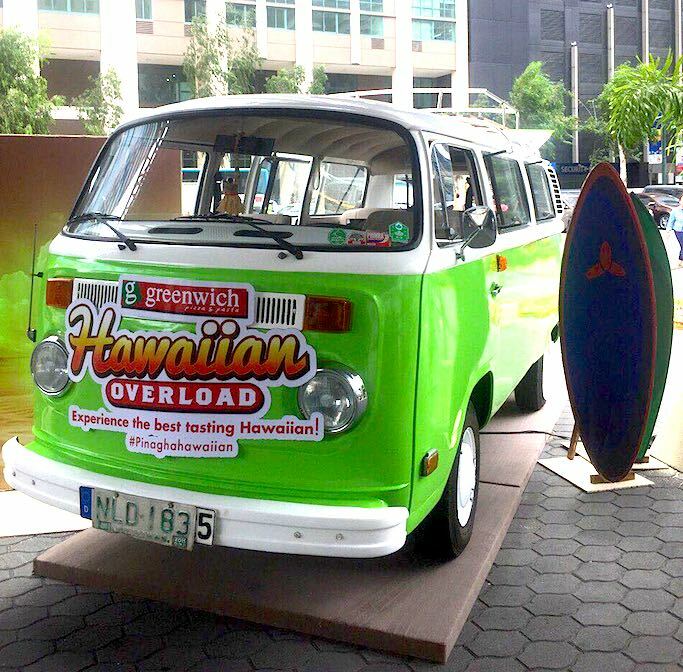 2) Take that perfect #groupfie with the Greenwich Hawaiian Overload Pizza Combi Van, post it on twitter and/or Instagram and tag @greenwichpizza and #PinaghaHawaiian. 3) Complete the challenges within the given time at the counter to win even more prizes! Get additional Greenwich treats by participating in our Greenwich Blogger Activity. 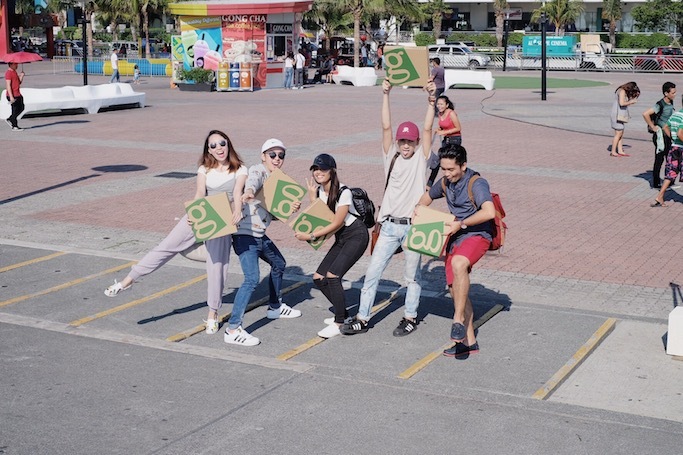 Ask your friends to add the hashtag #TEAMbloggername because followers of the winning Blogger Team get a chance to win P5K worth of Greenwich GCs! The Blogger Team wins by having the most number of hashtags used! Will it be Team #FINEapple (Chin Obcena, Joana Carrasco, and Kat Valdez)? Or #TeamPizzabilities (Kas Perez, Kerwin Tongol, Jennica Castro, JP De Leon, and Dee Gee Razon)? Team #AwowLuau (Aisa Ipac, Paul Chuapoco, Christine Liwag, Ava Zabat, and Kelly Medina). Or #TeamPinyakamasaya (Michael Macalos, Cha Ocampo, Phya Pineda, and Charlene Ajose)!? I also visited the caravan last Sunday in Festival Mall. Families and barkadas went to the Greenwich activity area for some fun, cool photo ops, and of course free pizza! Don’t miss out on the best summer ever with the best-tasting #HawaiianOverload! 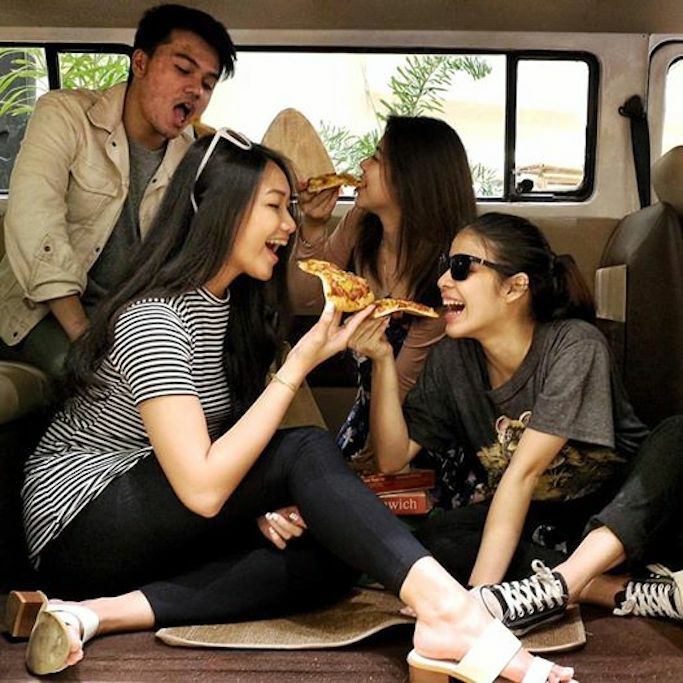 Eto and #pinaghaHawaiian na pizza! 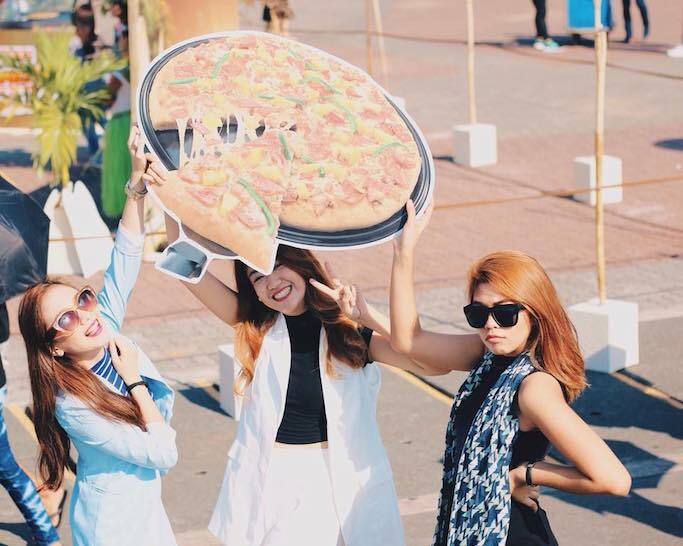 Stay updated with the latest summer events by watching this Facebook link, and by liking and following Greenwich Barkada on Facebook and @greenwichpizza on Twitter and Instagram.